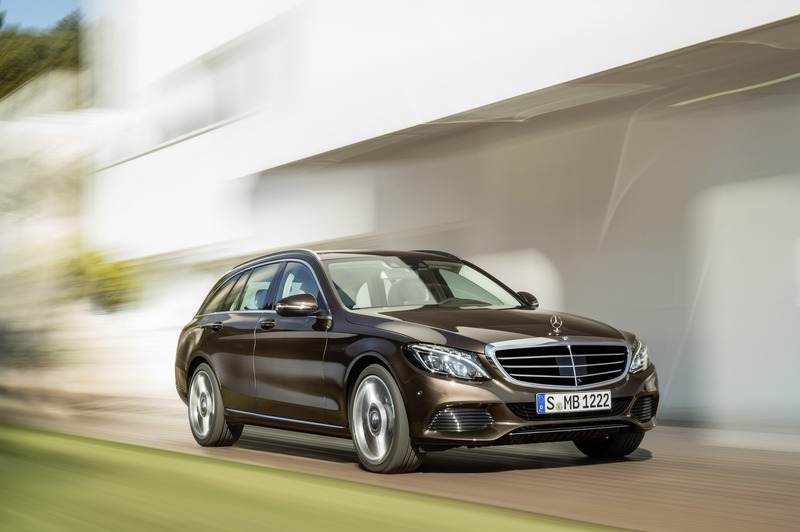 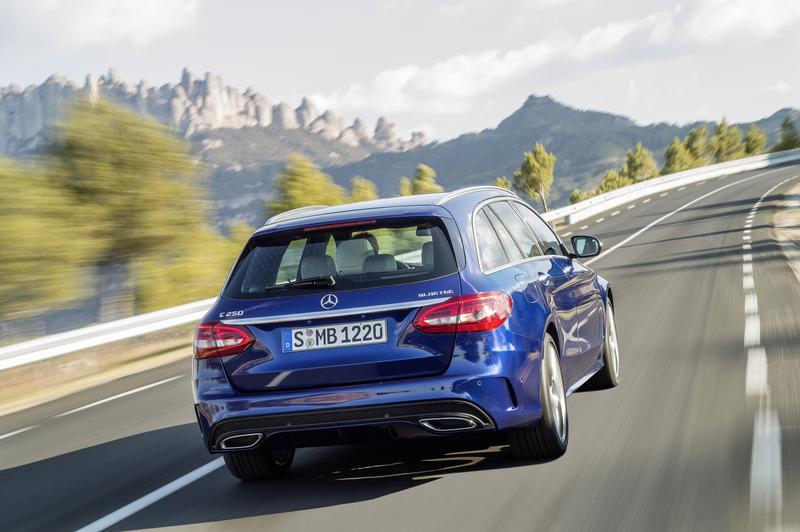 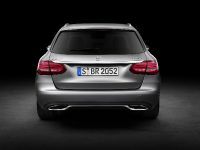 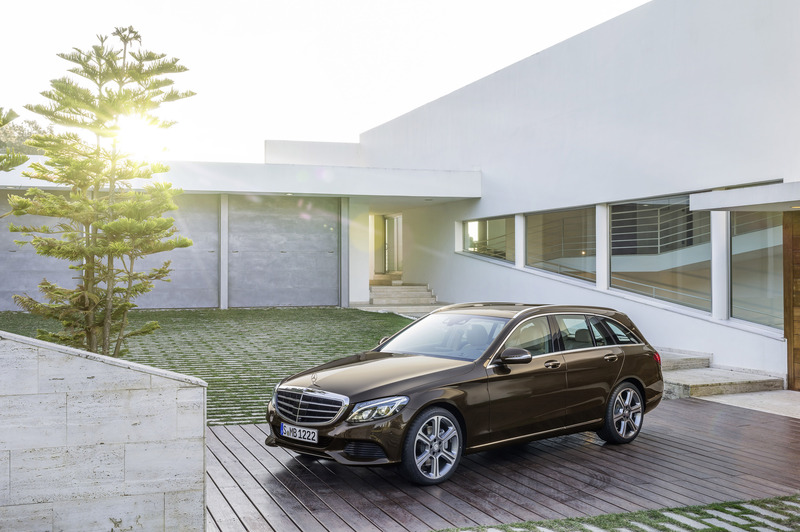 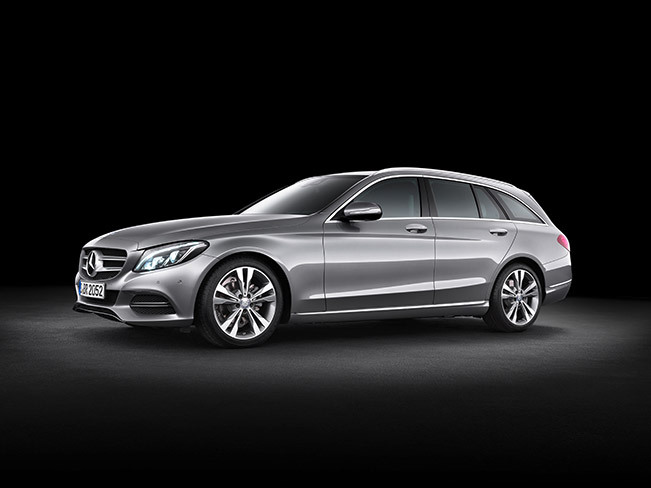 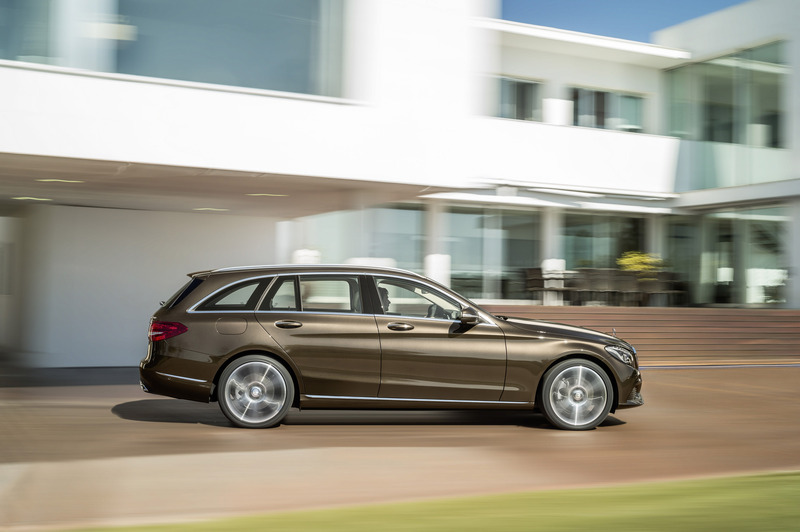 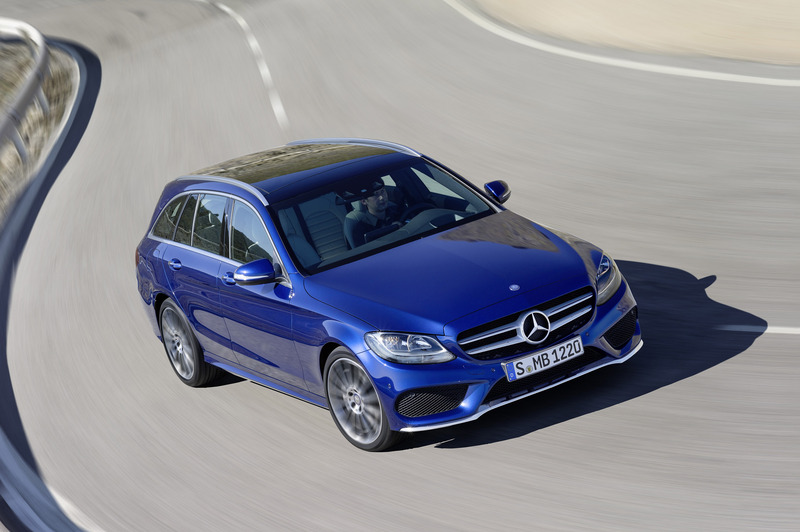 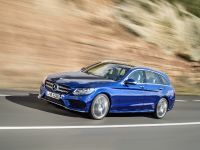 Mercedes-Benz has officially unveiled the new 2015 C-Class Estate. 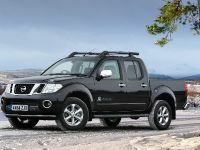 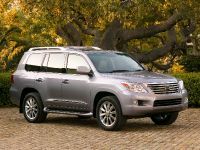 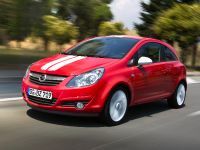 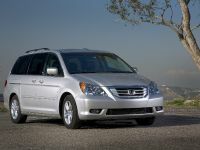 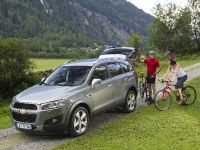 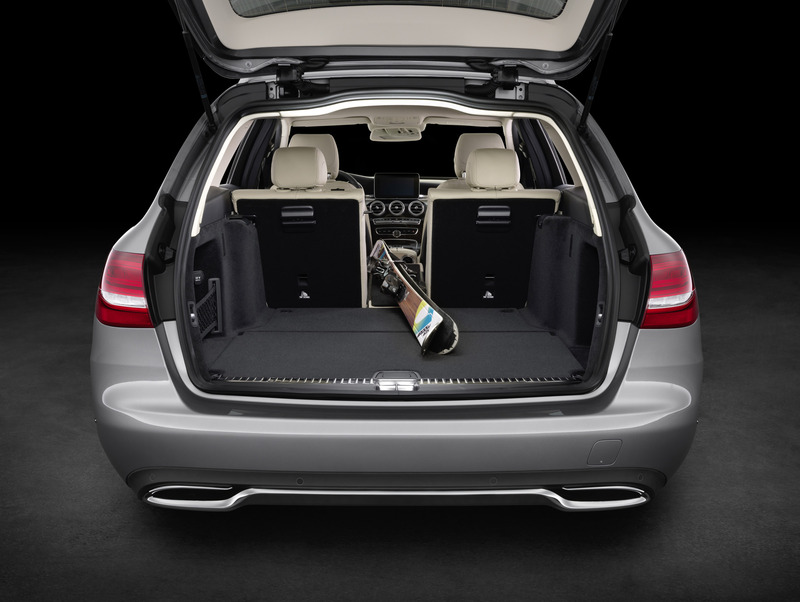 It boasts impressive rear legroom, superb equipment and ultimate versatility. 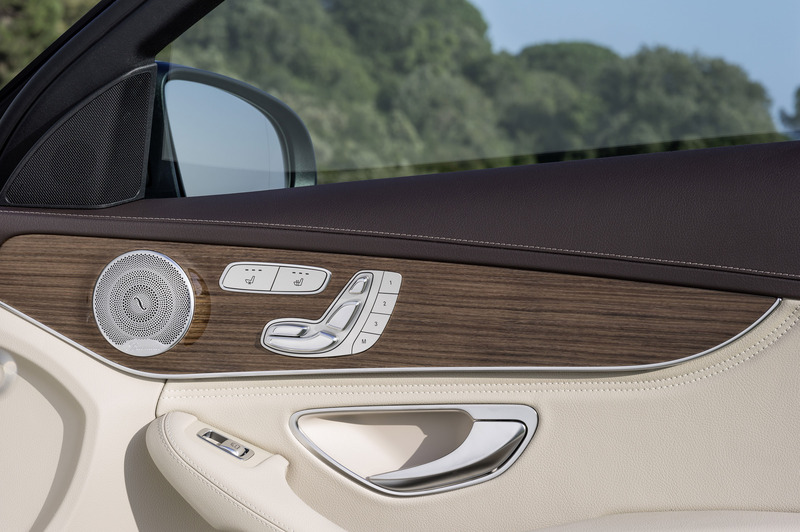 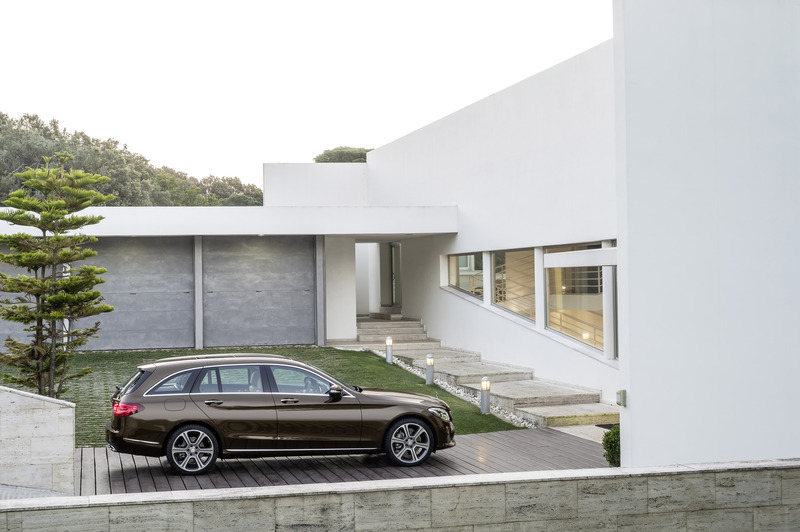 Its high-class, sophisticated interior makes modern luxury tangible with design highlights. 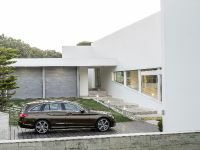 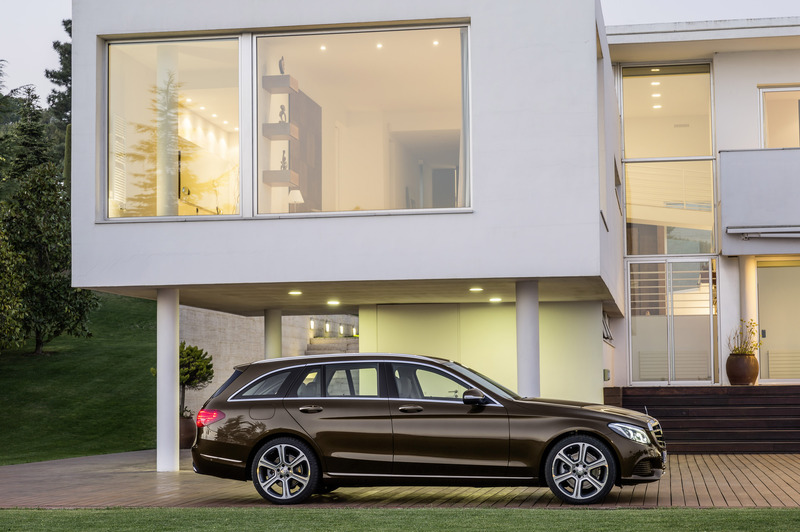 With these qualities the Estate reinforces its reputation as a multifaceted lifestyle vehicle with outstanding properties for everyday use. 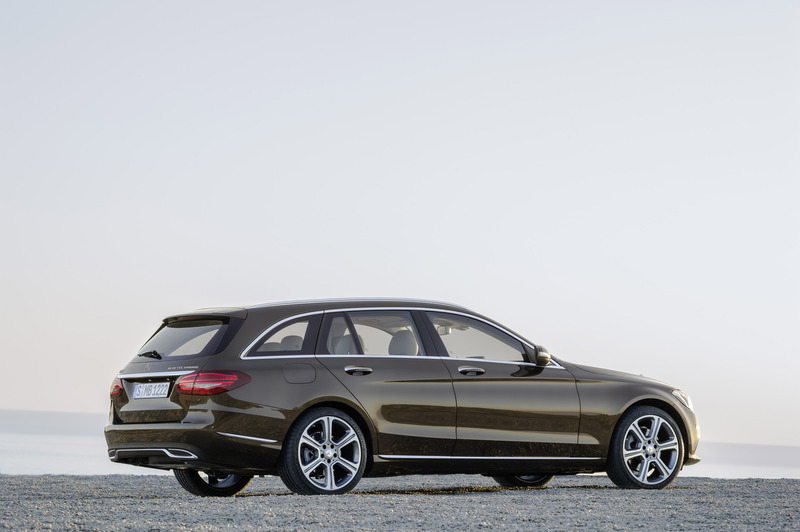 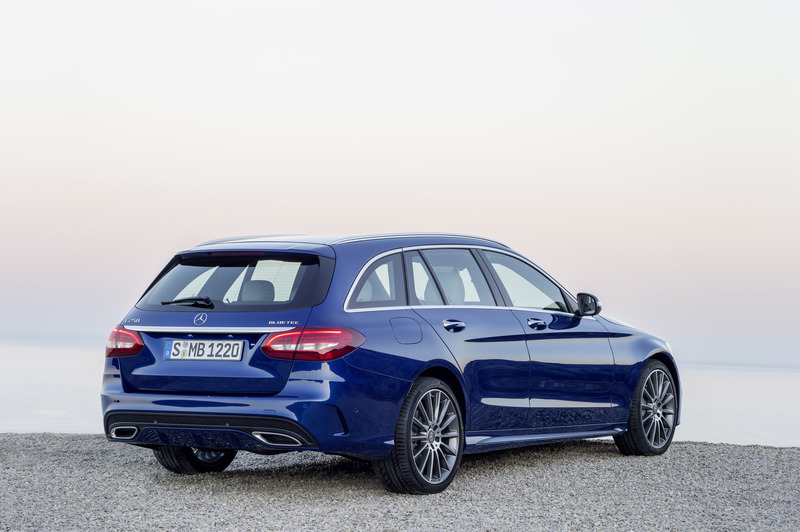 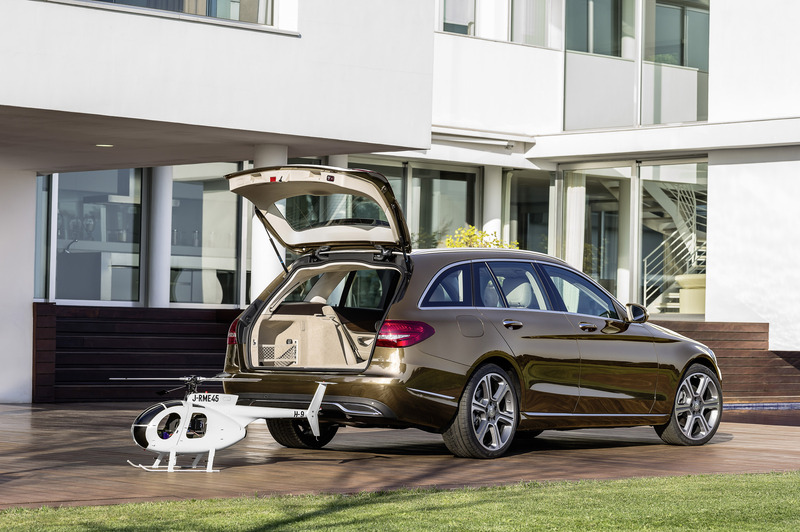 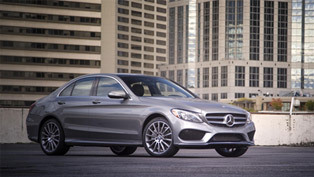 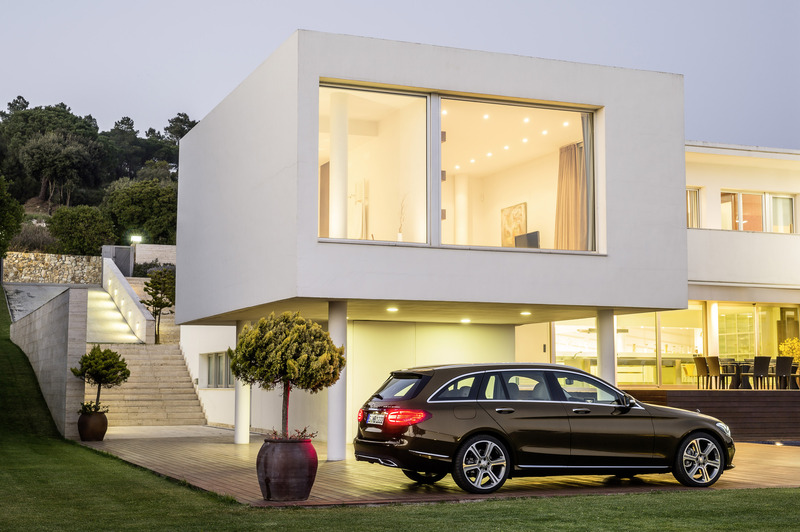 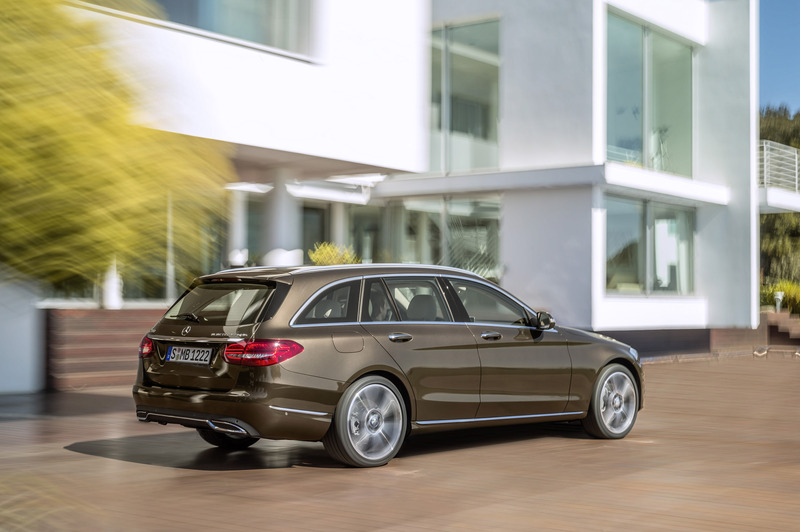 The dimensions of the 2015 C-Class Estate are significantly bigger than the predecessor. 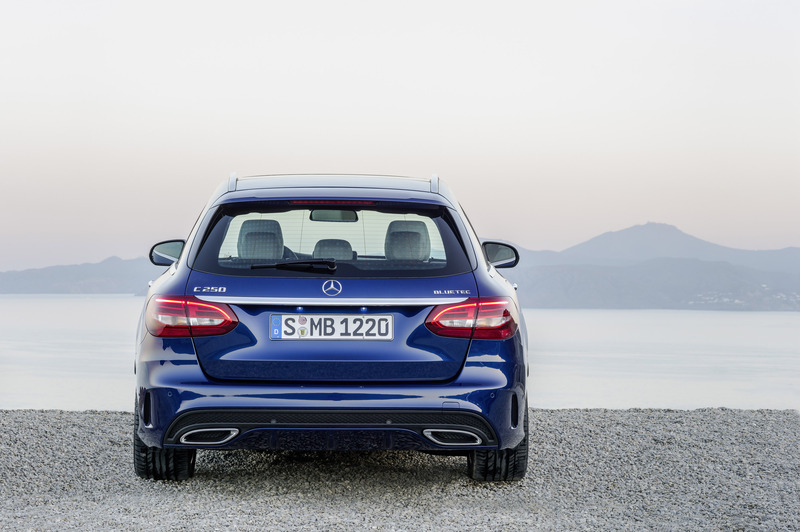 The overall length is 4,702m (96mm longer) and a wheelbase of 2,840mm (additional 80mm). 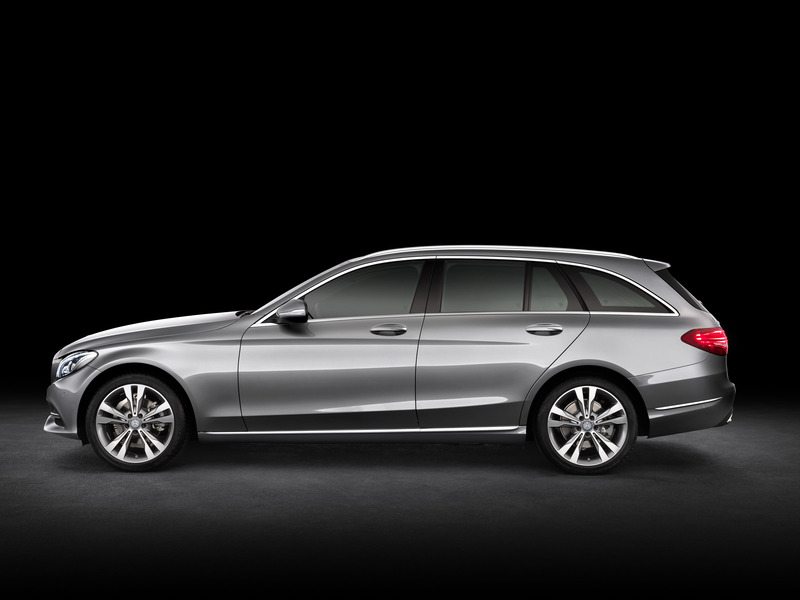 The front of the car is exactly the same as the one on the C-Class sedan. 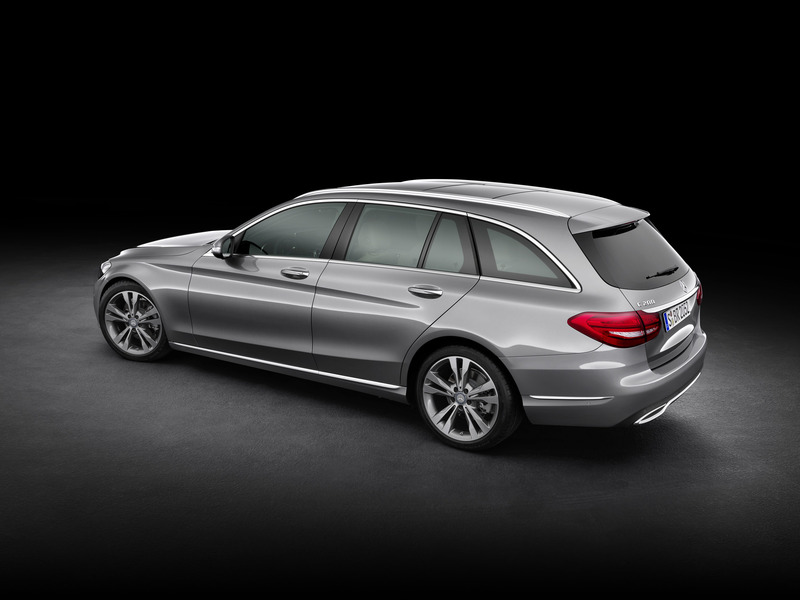 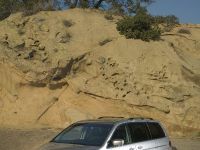 However, the wagon is different from the B-pillars towards the back. 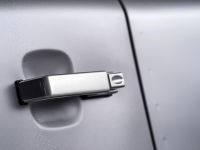 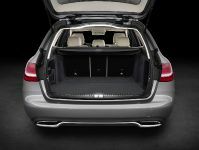 The rear legroom is increased by 45mm, while there are additional 40mm in the cars width (1,810 mm) resulting in more head, elbow and shoulder room. 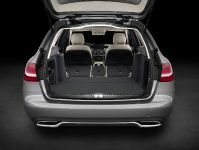 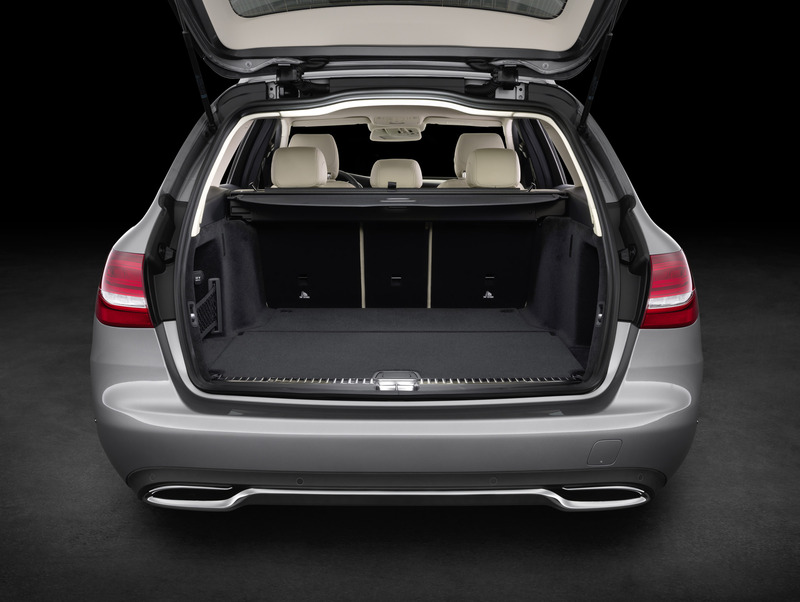 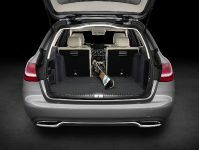 The trunk capacity is epic - 490 liters and 1,510 liters when the rear seats are folded down. 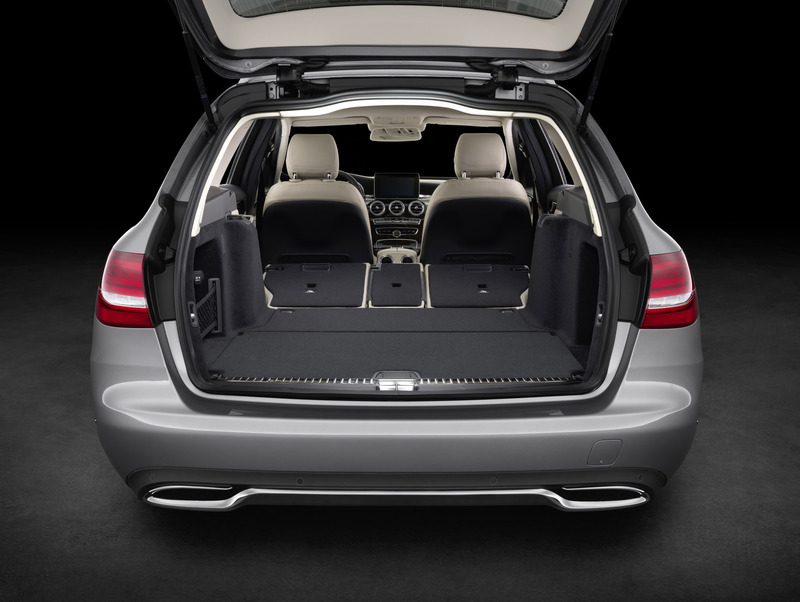 The rear seat has a 40/20/40-split configuration and boasts electrically-foldable backrests. 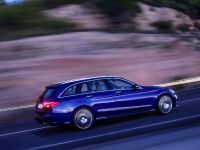 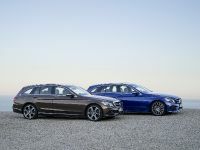 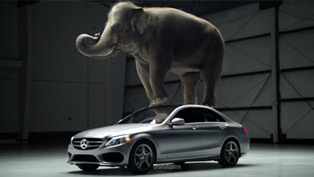 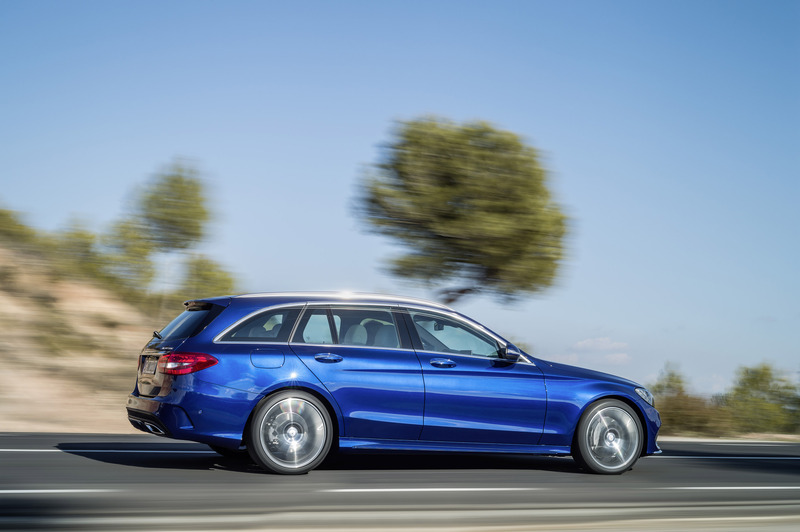 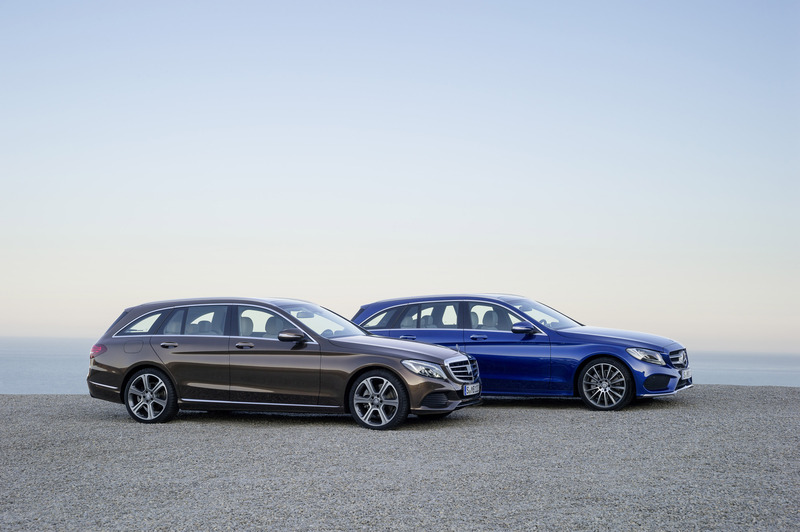 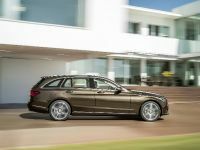 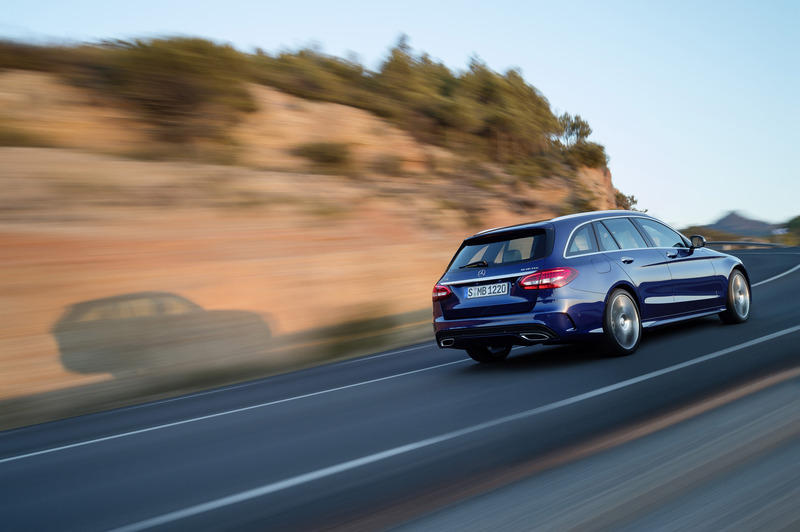 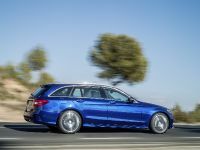 Despite the significant increase in size, the new C-Class Estate is lighter than its predecessor. 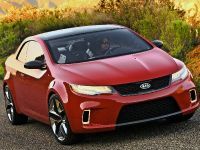 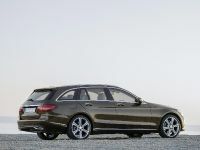 It lost 65 kg (143 lbs) from its curb weight with the same equipment and can be ordered with an optional Airmatic air suspension with self-leveling function, which is new for the segment. 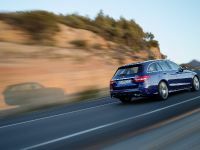 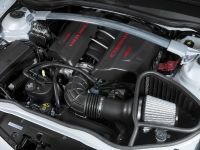 The engine range is the same and includes petrol power units from 156HP (115 kW) to 333HP (245 kW), while the diesels start from 115HP (85 kW) to 204HP (150 kW). 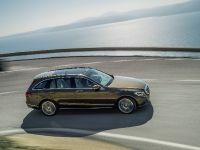 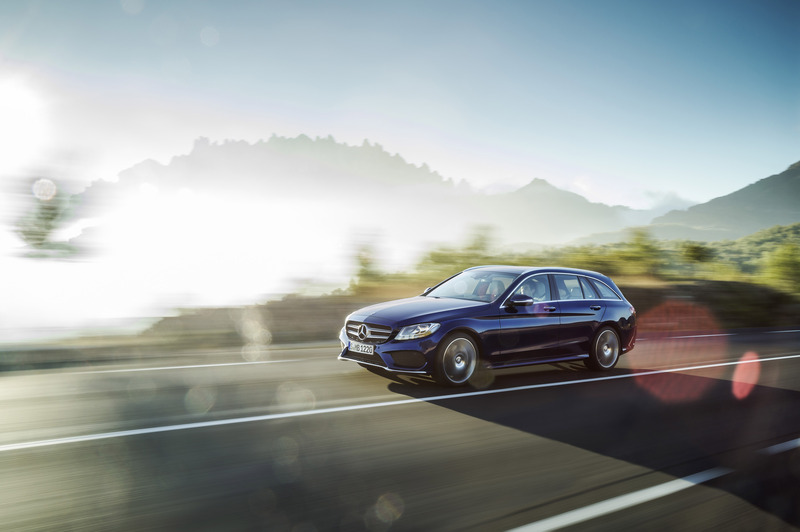 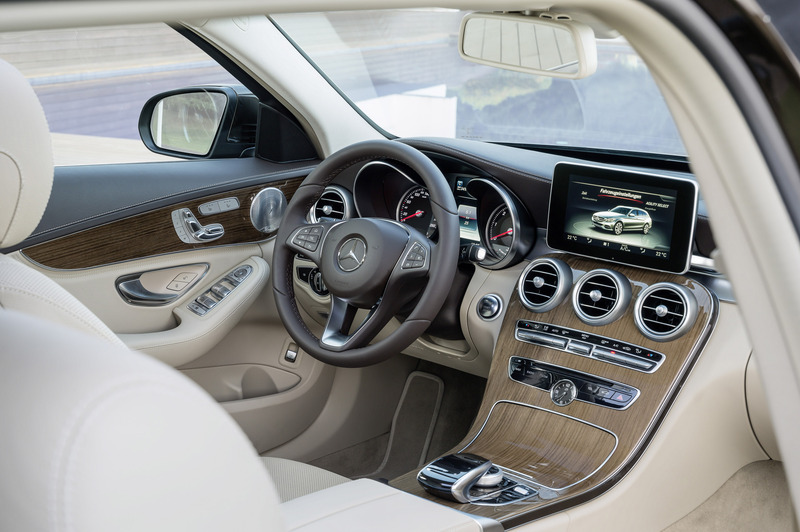 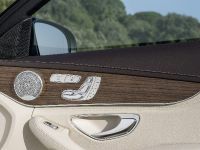 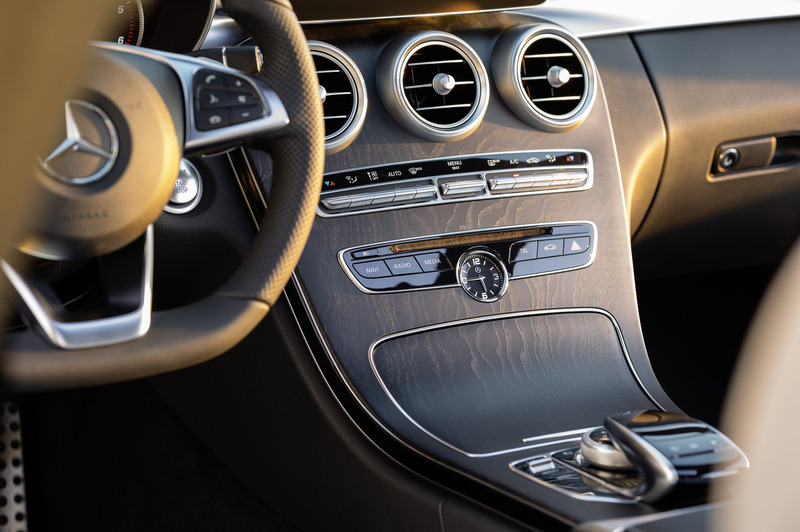 There will be two hybrid models C300 BlueTEC HYBRID – 204HP (150 kW) and an electric motor with 27HP (20 kW) and C350 BlueTEC HYBRID with 211HP (155 kW) and 68HP electric motor. 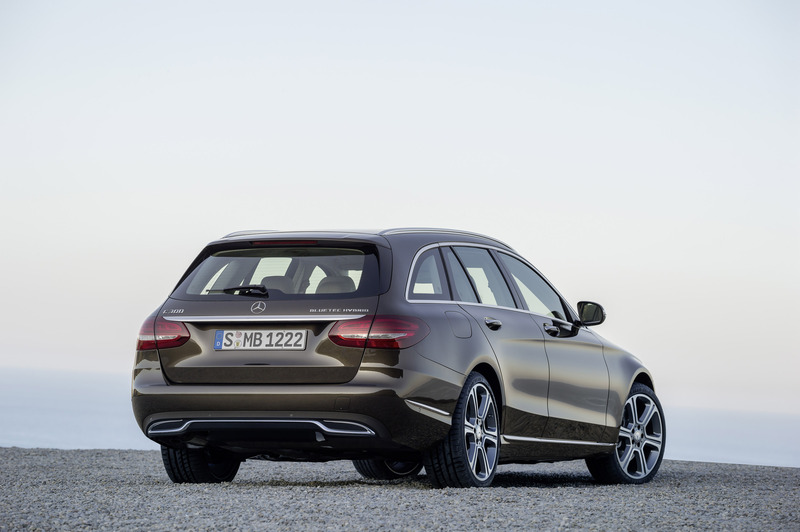 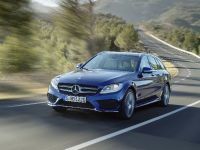 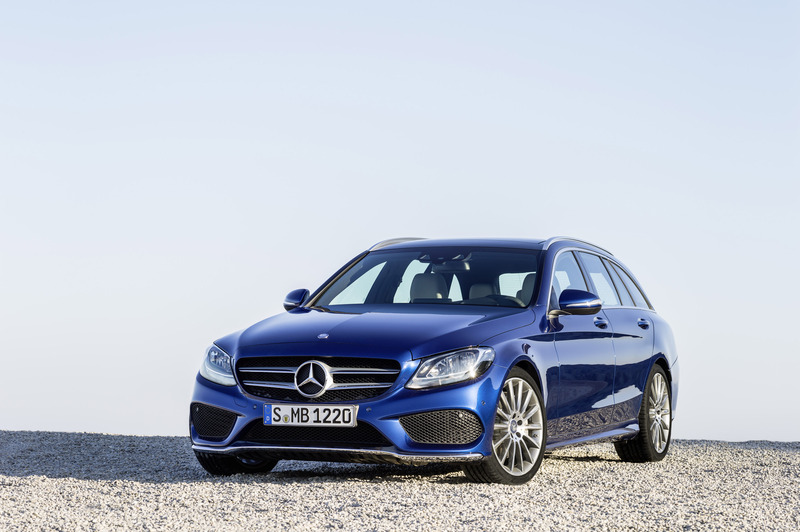 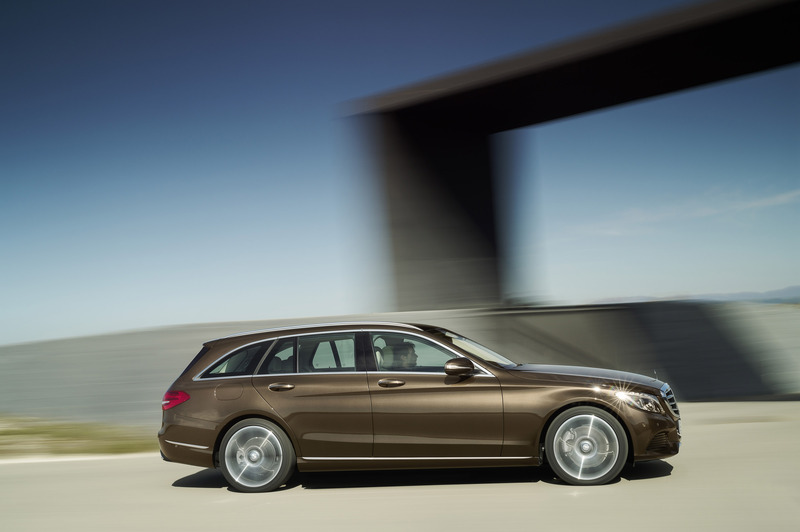 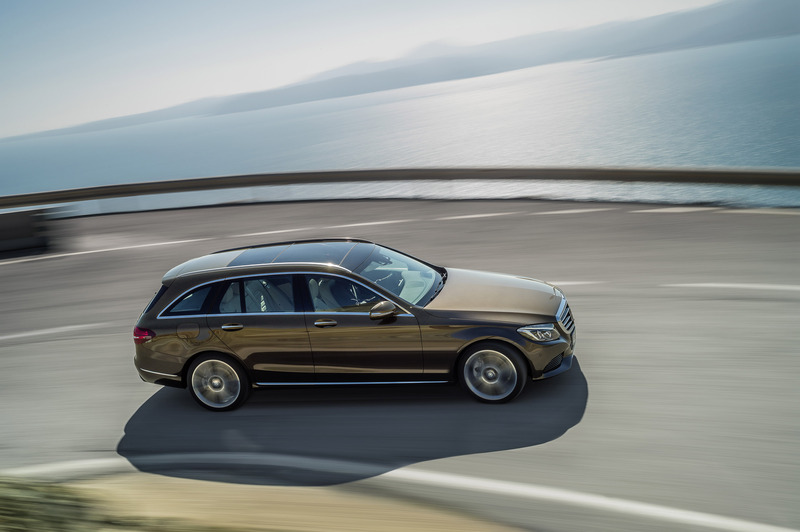 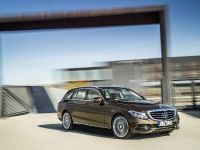 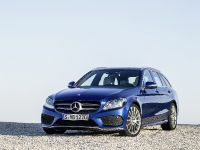 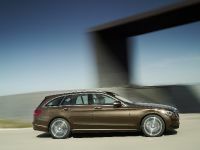 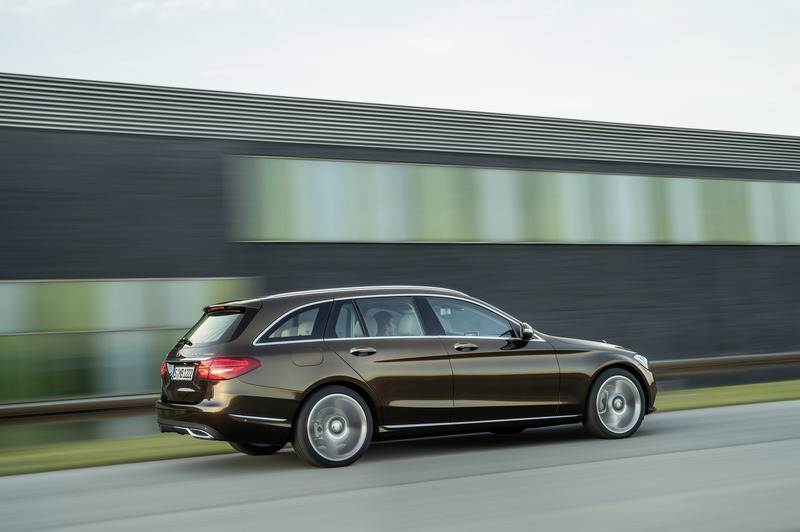 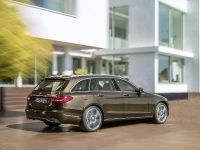 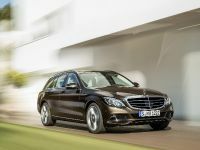 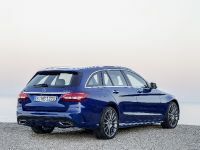 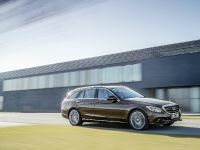 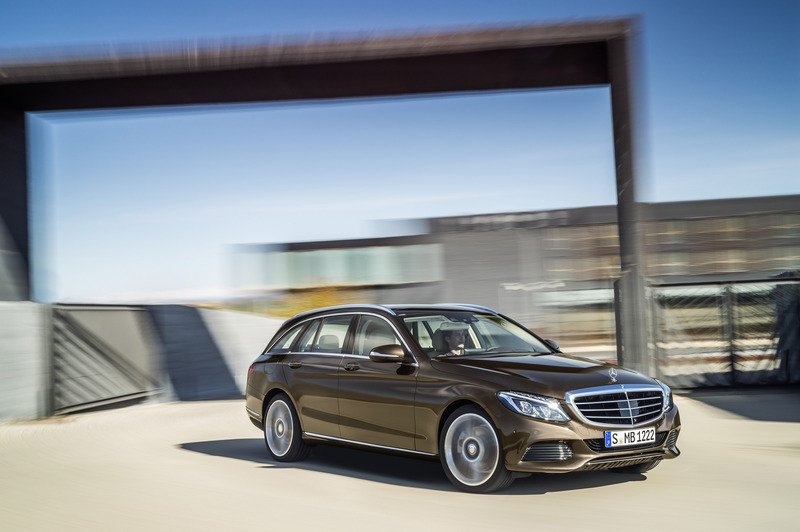 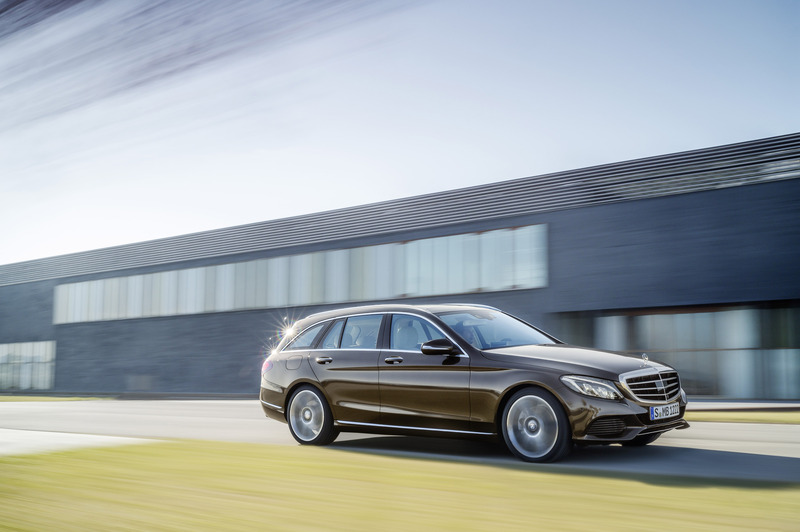 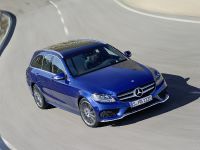 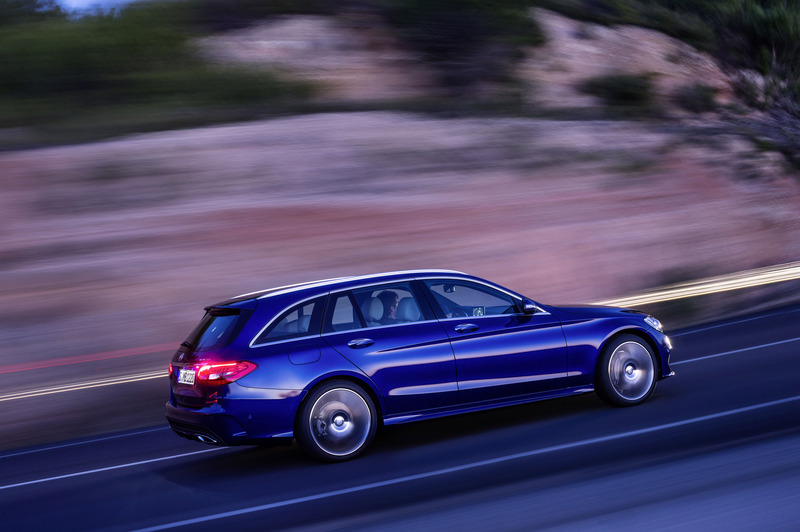 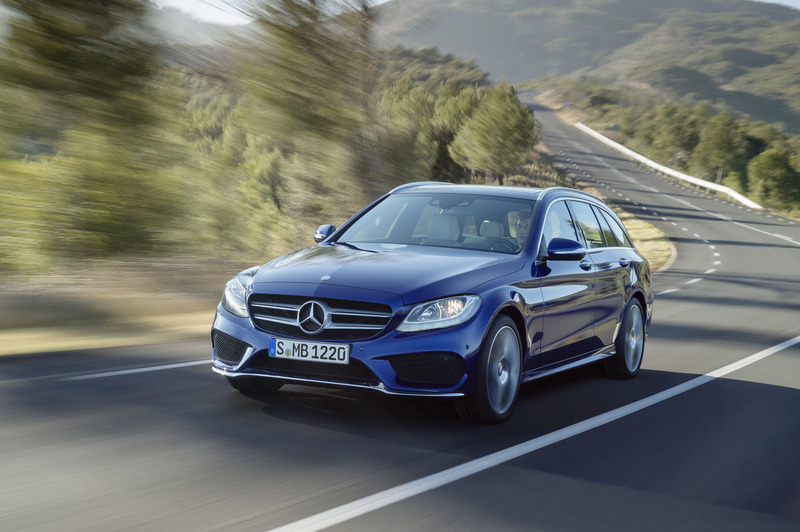 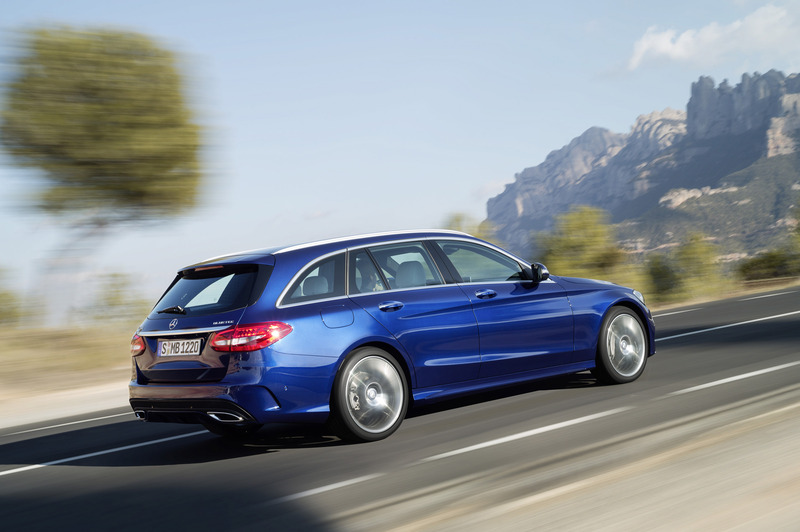 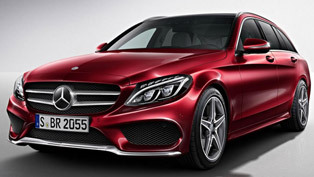 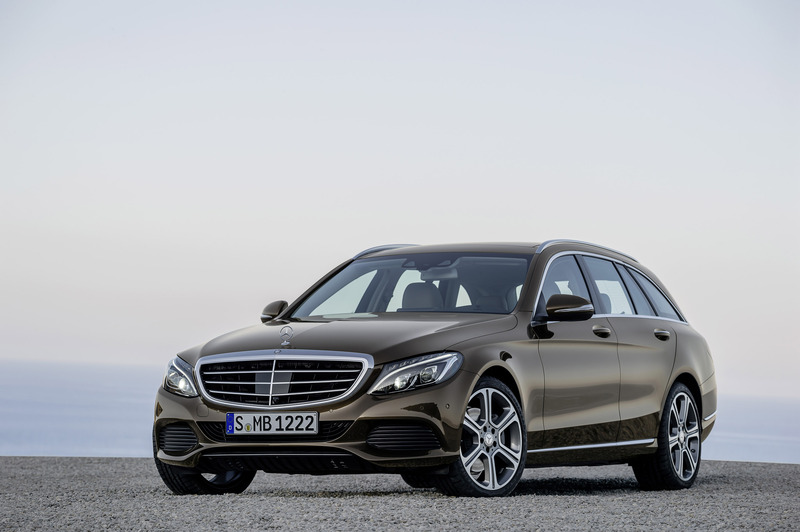 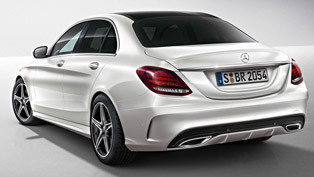 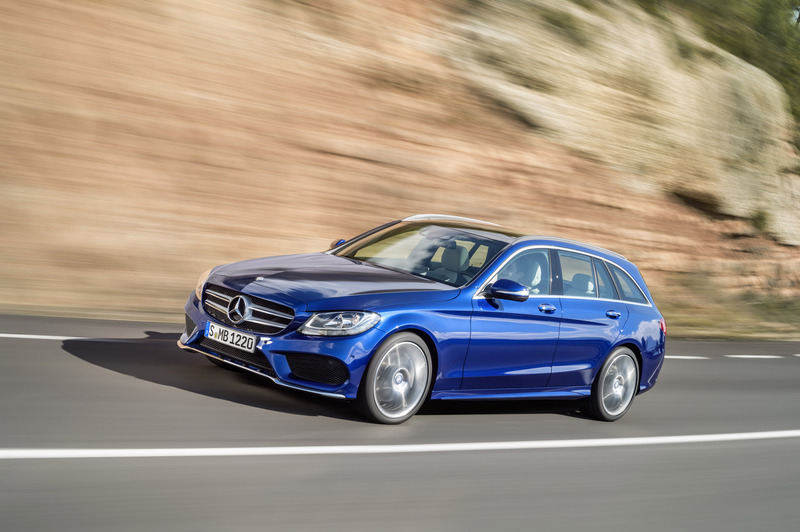 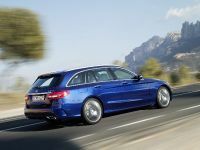 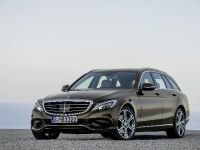 2015 Mercedes-Benz C-Class Estate is expected to hit the market in September, this year.